Does this cause resonate with my heart for giving? How much is the nonprofit raising for? Do they appear to be trustworthy? Has this organization accomplished what they’ve said they’d do in the past? As an organization insider, it’s often difficult to step back and look at an appeal through the eyes of a potential donor. Are you assuming the donor knows something about your work? Are you assuming that the donor has more information about your organization than he really does? Are you assuming he’s seen your case studies and already knows your successes? Assumptions like these can kill your fundraising efforts. 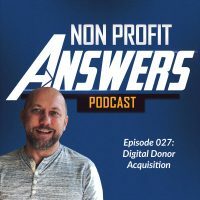 Instead, we need to focus on answering those first five questions to ensure the potential donor understands what he’s giving to and trusts your organization to do good with his donation. Let’s look at three steps to clarifying your fundraising message. Many times, as a fundraising writer, we run into a problem when we send a direct mail letter or fundraising email assuming things about what the reader does and doesn’t know. You don’t need to tell the history of your organization (in fact, you rarely should), but you do need to focus on how you are the tool with which a donor can meet her need to give a gift and help someone else. There are just a few hours left before the MIDNIGHT DEADLINE to make a donation in support of our independent advocacy work. By making the most generous gift you can, Consumer Reports can continue providing you and millions of consumers with trustworthy, expert information on products and services you use every day. In this example from a fundraising email from Consumer Reports, you’ll see that the organization doesn’t assume that I know who Consumer Reports is, even though, seriously, who hasn’t heard of Consumer Reports? But they know without clearly stating who they are, they are making an assumption that could impact fundraising. Tell your readers a story of someone that needed your organization’s help and how you helped her. Explain what you’ll be using the donation for. Tell the reader how much you need to raise. Demonstrate that you’ll do good things with the donation. In the last two days, we’ve received more than half of the $19,000 we need to replace the termite-damaged roof of our safe house for Moms and Babies. Our team in Nicaragua is beginning to rebuild now, hoping that more of our friends will come through with an emergency gift to help us save this shelter that our girls and their babies call home. How much are you looking to raise? $19,000, of which they’ve raised half. What are you raising the money for? A safe house for moms and babies that had its roof destroying by termites. Will you use my money for good? Yes, what is a better cause then helping moms and babies? Can I trust that you’ll do what you say? I do trust them, they included a photo of the staff in Nicaragua starting work. The email very clearly and concisely answers my questions. When you’re asking for a donation in your nonprofit fundraising, be clear with your call to action. Use action words like Give a Gift or Donate Now. I recommend testing different give action phrases to determine what works best with your donor audience. Are you afraid to ask for money? Do you provide a bunch of options for people to do when really you’re just seeking a donation? When you give options, such as donate, sign this petition, or share with a friend, the reader is likely to take the path of least resistance and do the easiest thing you’re asking her to do. The reader feels like she accomplished something and you wonder why your response rate is down. You must be direct with the reader and ask her to do one thing. If your intent with an email is for someone to sign a petition, ask for it. If you’re looking for a donation, ask clearly and directly. Provide a clear call to action that links directly to a page the reader can take action on. My friend’s organization is making a huge mistake! I was ready to make a donation, but without an easy path to do so, I abandoned the process. It’s a shame they did all this work and inspired me to give without a clear call to action. You shouldn’t be afraid to give people a clear and easy way to give. You may be surprised by this: people understand you’re going to ask for money. You’re a nonprofit organization! That’s how you raise funds. When you don’t give someone a clear path to give, you’re robbing her of the opportunity to make a donation and change a life. After you get the donation, make sure you express your gratitude by saying thank you to the donor. Follow these three steps to improve clarity in your fundraising. Tell us a story in the comments, how have you missed clarity in your fundraising?